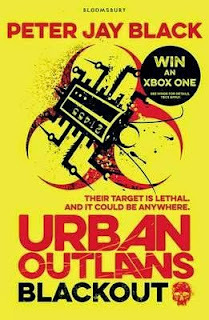 We first met the five Urban Outlaws — Jack, Charlie, Obi, Wren and Slink — last year (see our review here). Now they're back in another high-tech, high-adrenaline adventure. This time the computer virus that 'escaped' at the end of the first book is still on the run and causing mayhem in IT systems around England. It's a security risk that could go global, and it's up to the Outlaws to shut it down. The scorching pace never flags from the first page to the last. If the first book hooked you, you'll devour this one too!